As a resource for system integrators, contractors and front-of-house engineers, Bose® Professional Systems Division will be hosting demonstrations of their RoomMatch® loudspeaker systems in live venues for the U.S., Canadian and Latin markets. Framingham, Massachusetts, August 19, 2013 – As a resource for system integrators, contractors and front-of-house engineers, Bose® Professional Systems Division will be hosting demonstrations of their RoomMatch® loudspeaker systems in live venues for the U.S., Canadian and Latin markets. Users have requested to audition RoomMatch systems in real-world situations, and Bose has responded with this series of exclusive regional demos showcasing RoomMatch loudspeakers, along with PowerMatch® amplifiers and ControlSpace® digital signal processing. Please RSVP to lauren_handley@bose.com to reserve your seat and receive emails with the final details for the event you plan to attend. Photo Caption 1: The auditorium at the Pike Performing Arts Center (PPAC) in the Indianapolis area, where Bose® Professional Systems Division will be hosting a demonstration of its RoomMatch® loudspeaker systems. 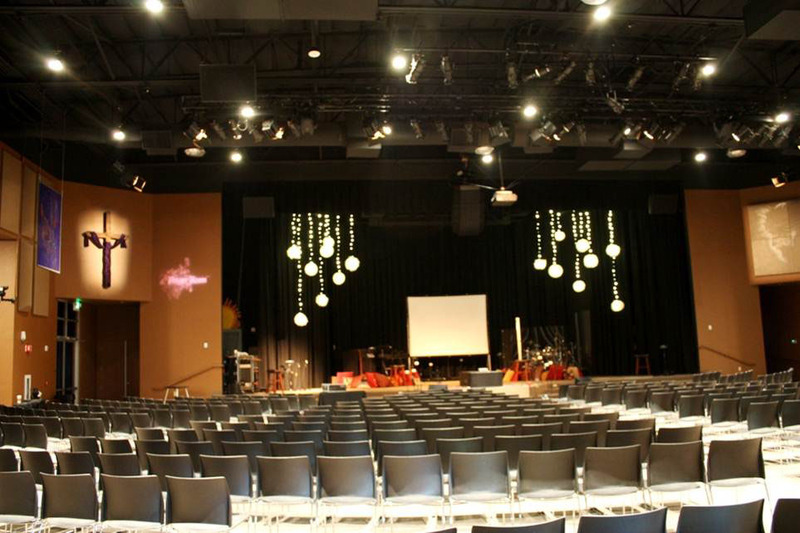 Photo Caption 2: WestGate Church, in San Jose, California, where Bose® Professional Systems Division will be hosting a demonstration of its RoomMatch® loudspeaker systems the week of September 16.